Lyn began her professional life as a primary school teacher. In 1998, as a result of her own breast cancer diagnosis and treatment five years earlier, Lyn Swinburne founded Breast Cancer Network Australia, the nation's most successful consumer-led health organisation, currently with 105,000 members across all states and territories. She is internationally recognised as a thought leader in developing best practice models for consumer input into health policy and service development. Lyn has extensive experience in brand building and fundraising, as well as advocacy for women's health issues. She has been a guest speaker at numerous international and Australian conferences and is the creator of the Field of Women concept which has seen thousands stand together in pink ponchos on the MCG to form the iconic pink lady silhouette. Her community contribution has been acknowledged with numerous awards including as a finalist in Australian of the Year in 2006, being named Melburnian of the Year in 2007 and awarded an Honorary Doctorate (Social Science) by Swinburne University in 2015. Since retiring as BCNA’s CEO at the end of 2011, Lyn has accepted a number of Non-Executive Directorships, continues her public speaking and conducts her own consultancy practice advising on community/corporate engagement and NFP management and strategy. She was appointed to the Board of the Royal Women's Hospital in July 2013 and the Royal Women's Hospital Foundation Board in October. Cath is the Chief Executive of Industry Funds Services (IFS). She assumed that role in April 2016, having previously served on the Board of IFS while working as a senior adviser to Industry Super Australia. 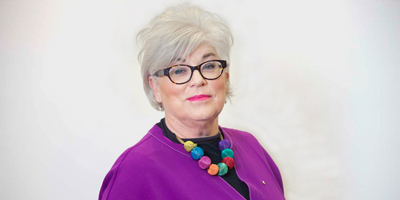 Cath has worked in senior roles in both the superannuation industry and union movement. 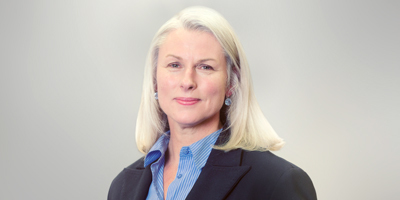 She was the Chief Executive of the Australian Government Employees Superannuation Trust (AGEST Super) from 2010 until 2013, when the fund merged with AustralianSuper. Prior to this Cath was a Senior Industrial Officer at the ACTU and Assistant State Secretary for the National Tertiary Education Union (NTEU). Cath is also a Director of the various companies and partnerships that own and operate Ausgrid, and is a member of the Victorian Public Sector Commission Advisory Committee. 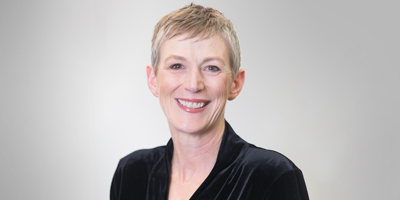 Cath has held a number of directorships and committee positions throughout her career including Director of AustralianSuper, Director of AGEST Super and Hon President of the Australian Labor Party’s Victorian Branch. Cath joined the Royal Women’s Hospital Board in July 2016 and is a Director on the Quality Committee, and the Finance & Information Technology Committee. 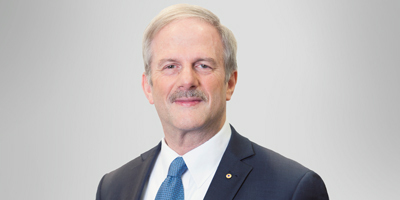 Professor David Copolov AO, is the Pro Vice Chancellor of Major Campuses and Student Engagement at Monash University. He is also Professor of Psychiatry at Monash and at the University of Melbourne and Honorary Professorial Fellow at the Florey Institute for Neuroscience and Mental Health. He was the Executive Director of the Mental Health Research Institute of Victoria between 1985 and 2004, where his research focussed on the interface between the symptoms and neurobiology of schizophrenia, with a special interest in the nature and treatment of auditory hallucinations. Between 2008 and 2016, he was a Director of the Australian Nuclear Science and Technology Organisation (ANSTO), which operates Australia’s only nuclear reactor and also operates the Australian Synchrotron. From 2004 until 2013 he was a Board Director of the Peter MacCallum Cancer Institute, serving the last six years as Deputy Chairman. He has held several advisory appointments to the Australian Federal and State Governments, including twelve years as a member of the Victorian Ministerial Advisory Committee on Mental Health and eight years as the psychiatric expert on the Australian Drug Evaluation Committee. David is the Committee Chair of the Board Research Committee and a Director on the Primary Care and Population Health Advisory Committee. Mandy Frostick has more than 20 years’ experience in strategic communications counsel and is a specialist in organisation reputational leadership including stakeholder engagement and issues management. Mandy is currently Media Manager for the City of Melbourne. She was previously Managing Director of MessageWorks, a public relations and marketing communications consultancy which partners with clients in health care, community services, energy, finance and government. Prior to establishing MessageWorks, Mandy headed group media relations for the world’s largest resources company; BHP Billiton. She has also led public affairs and marketing teams for some of Victoria’s best known organisations including WorkSafe, Western Health and the Royal Women’s Hospital. Mandy is a member of RMIT University’s Program Advisory Committee (Bachelor of Communications). She is also a Graduate Member of the Australian Institute of Company Directors and was appointed to the Board of the Royal Women’s Hospital in July 2016. Mandy chairs the People, Culture and Engagement Committee and is a director on the Quality and Community Advisory Committees. Christina Liosis is an experienced finance executive with over 25 years’ experience working across the financial services industry where she has led major business transformations, overseen record growth/ and introduced exceptional standards of governance. Christina is currently the Chief Financial Officer at Trimantium Capital; responsible for supporting the CEO and Board of Trimantium Capital in corporate financial matters. Before joining Trimantium, Christina was the Chief Financial Officer for FNZ Asia Pacific, a world leader in the design, build and support of wrap platforms for the financial and wealth markets. 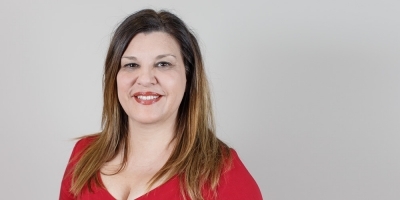 Christina has held a range of other executive and senior roles in the private and non-profit sectors, including the Transformation Officer at YWCA Victoria, the Chief Financial Officer at Telstra Super and Executive Manager, Cbus. Christina holds a Bachelor of Science and Graduate Diploma, Accounting [Monash University] and a Graduate Diploma in Fraud Investigation [Latrobe University]. Christina is a member of the Institute of Chartered Accountants. 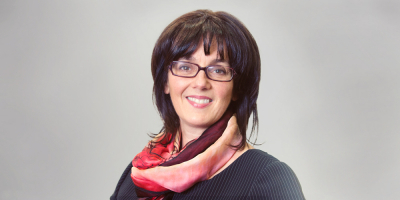 Christina is a current Director on the Board of the Royal Women’s Hospital joining in 2010, and has chaired the Finance Committee, and is currently the Chair of the Board Community Advisory Committees. She is a Director on the Audit and Corporate Risk Management Committee, and formerly the Human Resources, Governance and Remuneration Committee. Michael O’Neill is an experienced company director and has over 25 year’s experience as a senior financial services executive. Michael has a strong background in finance, risk and governance, having held executive roles as Chief Financial Officer and Chief Risk Officer for NAB’s Personal Banking Division in Australia and Treasurer for the NAB Group. Michael’s current non-executive roles include Director and Board Chair of Gymnastics Victoria, Director and Chair of Investment Committee at Tidswell Financial Services and Director of Teachers Mutual Bank and Incolink. Michael holds a Bachelor of Economics and Graduate Diploma in Accounting from Monash University. He is a Graduate of the Australian Institute of Company Directors and a Fellow of the Finance & Treasury Association. Michael joined the Board of the Royal Women's Hospital in October 2013 and is the Chair of the Finance and Information Technology Committee, and Director on the Audit and Corporate Risk Management Committee. Nicolas has been a Director on the Board of the Royal Women's Hospital since 2010. Until recently he practised in inner Melbourne as a consultant physician, with a particular interest in the medical complications of pregnancy. He has been a consultant physician at Prince Henry's and St Vincent's Hospitals. He is the current Chair of the Board Quality Committee of the Royal Women's Hospital and a Director on the Board Research Committee; and Human Resources, Governance and Remuneration Committee. From 2000 until 2009, Nicolas was a member of the Board of Directors of the Royal Victorian Eye and Ear Hospital. 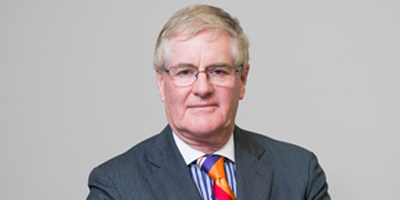 He has had a close interest in professional regulation at a Commonwealth level for a long time; from 2000 until 2013 he was Chairman of the Determining Authority of the Professional Services Review. 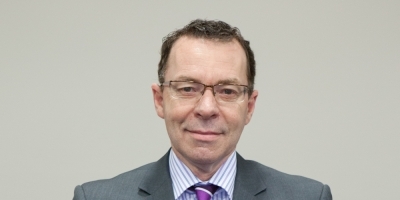 Nicolas' other past appointments include membership of the Pathology Services Accreditation Board of Victoria, and the Court of Examiners of the Australian and New Zealand College of Anaesthetists. Nicolas was acknowledged for his significant service to medicine as a nephrologist, to the management of medical complications during pregnancy, and to professional standards in the 2017 Queens Birthday Honours List. Nicolas is a medical graduate of the University of Melbourne, a Fellow of the Royal Australasian College of Physicians, and a Fellow of the Australian Institute of Company Directors. Helga is a consultant, coach and facilitator specialising in leadership, strategy and planning, governance and stakeholder engagement. She is a graduate of the Australian Institute of Company Directors and has founded two governance programs for women - Board KickStarter to inspire and support women into governance roles and Board Accelerator to support women directors. Prior to establishing her consultancy, Helga was Chief Executive Office of Hotham Mission Asylum Seeker Project, a UnitingCare agency providing housing and case work support to people seeking asylum. Her background includes leadership roles in government, not-for-profit and membership organisations and experience in employment and industrial relations. Helga is a Barrister and Solicitor of the Supreme Court of Victoria and holds a Bachelor of Arts/Laws from Monash University. She is also a fellow of the Williamson Community Leadership Program. Her memberships include Australian Institute of Company Directors, International Coaching Federation, Fundraising Institute of Australia and the International Association of Public Participation. Naomi is currently a Senior Lawyer with the Australian Securities and Investments Commission (ASIC), and has worked as Senior Legal Counsel and in Commercial Litigation for more than 20 years, including holding leadership roles with the National Australia Bank for over a decade. Naomi holds a Bachelor of Laws (LLB) from the University of Western Australia and has completed an Australian Institute of Company Directors (AICD) ‘Finance for Directors’ course. Naomi has extensive experience managing disputes across Courts nationally as well as dispute resolution schemes, both internally and with external counsel. She has a highly developed risk radar, which enables her to identify and manage all aspects of risk, e.g. financial, reputation, media and operational risk, with a focus on achieving an outcome that aligns with the values and strategic focus of the organisation.